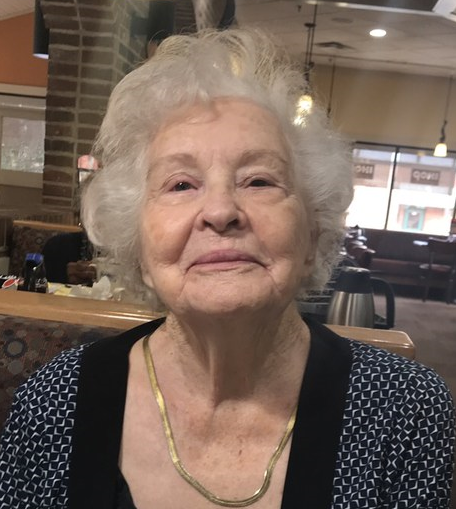 Geraldine Meadows, born on January 23, 1927, passed away on Monday, December 3, 2018. She was married to Willard James Meadows, a pastor, and had one son, Willard James "Jim" Meadows, Jr. She resided in Bessemer, AL most of her life. She was vice president of Regions Bank for 32 years until retirement. She was a member of Caanan Baptist Church. She is preceded in death by her husband, Willard James Meadows; her son, Jim Meadows; sisters, Carol Malone, Nell Malone; and brother, Bill Pigg. Geraldine is survived by one sister, Betty Robinson; sister-in-law, Eddie Pigg; nephew, Glenn Robinson; nieces, Stacy Tingle, Logan Wilcher and Kathy Bailor; her caring and life-long friend who was as close as a sister, Shirley Sanders; extended "family", Barbara Love and Mike Cottingham; her guardian angels, Rod and Gene Wilcox; and a host of many other nieces, nephews and friends. The family will receive friends on Thursday, December 6, 2018, from 1-2 PM at Currie-Jefferson Funeral Home. The service will follow in the chapel at 2 PM with Brother Morgan Bailey officiating. Interment will be in Jefferson Memorial Gardens, South. In lieu of flowers, the family requests donations be made to Caanan Baptist Church.